Hello! 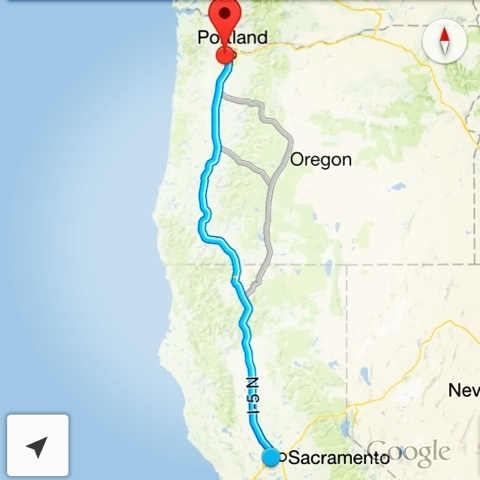 I've been working on an annual volleyball tournament in Oakland, CA, and am currently making the long drive home to PDX. I did my best to eat a Bulletproof Diet on my trip, and I feel pretty good about how I did! I kept up my intermittent fasting with Bulletproof Coffee the whole time, which always helps with clearing toxins from the system and maintaining a nice, stable energy throughout the day. When you sit in a car for 10 hours, stay in air-conditioned hotels on unfamiliar beds, get up and go to sleep at weird times, and are sometimes forced to eat less healthy than your normal standard, you can feel pretty gross and out of sorts. But maintaining my morning coffee routine and Bulletproof Intermittent Fasting from 8pm-2pm went a long way to balance me out and keep my energy and mental performance at their best. I feel so much more resilient when I'm doing intermittent fasting with Bulletproof Coffee so I'm better equipped to handle all those weird changes that come with travel. Luckily my wife and I figured out our Bulletproof travel routine earlier this month on a trip down to New Mexico to visit family. I'll never travel without a couple sticks of Kerrygold unsalted butter, some 85% dark chocolate Lindt bars, and some raw cashews and coconut flakes again! We brought everything with us so we didn't have to worry about finding a place to buy it down there, and could snack while traveling. It's not so bad when you're nourished and stick to low-toxin foods, but I'm glad to be back this week! Have found your web content. My pal American statentioned it to me before, nonetheless ne'er got Penrith around to checking it out so far. i have to specific, I’m floored. i actually enjoyed reading through your posts and can completely be back to urge additional.